There will be small spoilers for Age of Ultron in this post. I'm warning you now. I've been fascinated by the Myers-Briggs personality types for a long time. This has naturally led to me wanting to type every single one of my favorite characters. Since I love The Avengers, today I want to bring you their types and why! Tony Stark/Iron Man -- ENTP "The Visionary"
ENTPs are known for their eternal wit and boundless ideas. They love to find answers to problems and improve on existing ideas. Finding new ways to do things or think about things is what they're best at doing, and this fits Tony so well. From the Iron Man suit to his other countless inventions, Tony is always endlessly creative in both his scientific innovations and his clever snark. ENTPs may also have a hard time with commitment and showing their feelings and that shows up a lot in Tony's life. "Following's not really my style." Steve Rogers/Captain America -- ISFJ "The Protector"
ISFJs are extremely loyal, behind-the-scenes people. Steve is very loyal to his friends and teammates and, if he wasn't an Avenger, wouldn't want any attention for the good things he does. They tend to be humble and compassionate. They also tend to have strong values. Steve wanted to fight for his country because he believed their cause was right, not because he wanted to kill. "I don't want to kill anyone. I don't like bullies; I don't care where they're from." Bruce Banner/The Hulk -- INTP "The Architect"
INTPs tend to be intellectual observers of the people around them and this fits Bruce so well. They like to make connection and often have an understanding of the world around them that other people don't have. They tend to be passionate when talking about the things they love, for Bruce this would be science. Bruce may be soft-spoken and peaceful, but when he sees the need to speak up, he'll do so. He has an often-times unique perspective that other members of the team might not have thought of. "I mean, what are we, a team? No, no, no. We're a chemical mixture that makes chaos. We're...we're a time-bomb." Thor -- ESFJ "The Provider"
I had a hard time figuring out Thor's type, but I finally settled on ESFJ. Thor's loyalty runs deep: for his brother Loki, for his friends, for his teammates. He wants to help them and make sure they aren't in trouble. Thor makes most of his decisions according to his feelings; he's often impulsive as a result. But this also means that he won't give up on his brother even when it would be the safer and more logical option. To me, that's very admirable. Thor values tradition. He's not one to conform to the rules of Midgard because he grew up with the rules of Asgard. This is part of what makes him such an oddity on Earth, but this is also why he tends to be so likable. "You speak of control, yet you court chaos." Natasha Romanoff/Black Widow -- ISTP "The Craftsman"
ISTPs tend to prefer to be detached from their emotions and often prefer making decisions by logic. While Natasha may not seem to have many emotions on the surface and it's hard to get her to open up, she has feelings just like anyone else. She isn't heartless, as I've seen her called before. They tend to live in the present, preferring not to plan too far ahead. They tend to be good with their hands and often enjoy risky sensory activities, such as mountain climbing or skydiving. "I've got red in my ledger. I'd like to wipe it out." 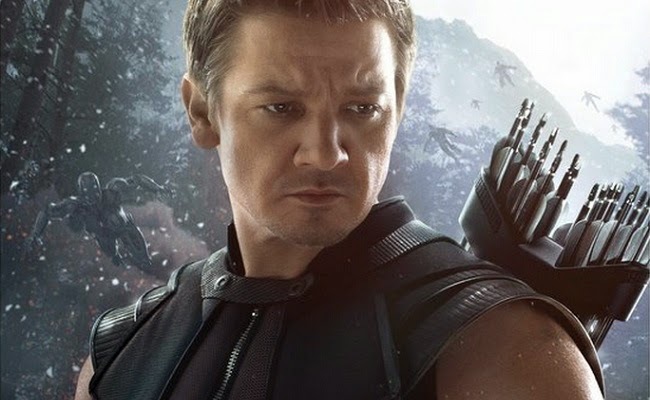 Clint Barton/Hawkeye -- ISFP "The Composer"
ISFPs tend to be cheerful and enthusiastic but also quiet and peaceful. They may seem to be rather distant, but if you take a closer look, they are caring for their family and friends deeply through that facade. ISFPs tend to be hands-on and creative. (Clint has a farm. He renovates. He wears flannel. He chops wood.) They tend to enjoy the simpler things in life, such as family, food, music and other arts. Clint is a very down-to-earth guy. "The city is flying and we're fighting an army of robots. And I have a bow and arrow. Nothing makes sense." Wanda Maximoff/Scarlet Witch -- INFP "The Healer"
INFPs tend to be sensitive, reserved, and they feel things very deeply. They are also extremely loving and, even though they tend to be open-minded and good listeners, if their deeply-rooted loyalties and values are threatened they may react strongly. This may not seem to be the most obvious choice for Wanda, but I think that it fits her very well. She's clearly sensitive and introverted (she lets her brother do most of the talking) and has a huge amount of empathy (she joins the Avengers to do the right thing, even though she wants to avenge her parents). She also tends to look at things below the surface. "Ultron can't see the difference between saving the world and destroying it. Where do you think he gets that from?" Pietro Maximoff/Quicksilver -- ESTP "The Dynamo"
ESTPs tend to have boundless amounts of energy and enjoy thrilling and reckless activities. They are often described as "the life of the party" and have great senses of humor. They tend to keep people on their toes because you never know what they are going to do or say next. While Pietro may not appear to be the "typical" ESTP as he is scarred and bitter over his parents' deaths (that may overshadow his personal qualities), he is nevertheless a great example of an ESTP. Irreverant, energetic, and funny, Pietro takes the meaning of "dynamo" to the next level. The Vision -- INTJ "The Mastermind"
INTJs tend to be serious and logical thinkers. They often think clearly about things, taking time to answer well and accurately. They tend to have a hunger for knowledge and learning more about people and the world. Vision, as a true INTJ, looks inward to try to figure out who he is in a logical way. He isn't JARVIS, he is something else. He uses logic to try to find that out. Did I get anyone's type wrong? Why? What about the other characters? What do you think their types are? What character do you share a type with? (I share a type with Wanda.) If you don't, is there a different MCU character that you share one with? Tell me all! Thanks to my friend M. A. for helping me figure out some of these types! Also, look, I am Vision! YAY! I know some people don't dig MBTIs, but I've found them to be fairly accurate. Loved all of your analyses -- although it's interesting for Thor because I saw a Tumblr post about him apologising for smashing Izzy's mug that he accepts the different tradition (aka not smashing mugs when you want a refill) right away. YAYY!! I love INTJs. I know at least one confirmed one in real life and she's super hilarious. And I was having a hard time with Thor. I was waffling between all the ESxx types for him. I'm really not sure of his at all, honestly. Thank you! I had a lot of fun putting this post together and accurately representing the characters. The Avengers are all pretty close to my heart, so I wanted to make sure I got it right. I'm so glad you liked it! I had a ton of fun writing it. I'm an INFP as well and I love Scarlet Witch! Her power is very INFPish too. :D And I would love to do another MBTI post sometime! I was actually thinking of making this a two-parter and typing a few minor characters (Loki, Coulson, etc. ), so we'll see if that pans out. I have seen many type The Vision as INTP or INFJ. I think it is because people do not quite understand INTJs, expecially more assertive versions of us (I am INTJ-A myself). His name and what he is says it all. The fact that some can not get past stereotypes boggles my mind at times. When I watch the movie, the moment my eyes lay on him the world goes away and it is a peaceful moment to me. I see and feel myself in his character and that is how I know you are accurate in your typing of him. I agree with most of ur typing but i believe Thor and Captain America are percievers. Thor may be accustomed to Asgard but his traditions arent what carry over to Midgard. I think its his behaviour instead. He doesnt atrike me as an Si or Fe user at all. He behaves impulsively and thinks more about the present than considering his past. Being an esfp his combination of Se and Fi would lead him to behave immideately based on personal his feelings, where as an esfj would behave after comparing their current situation to any similair experiences in the past and how his actions affect the collective good. The best example of his Se is how he keeps walking in front of moving cars. Se users think in the moment and are prone to repeating mistakes while Si users(like Esfjs) almost never make the same mistake twice. Captain America is also strong Fi user. He doesnt believe in universal values but rather in personal ones. Like in civil war, he strongly advocates for personal choice and doing what an individual personally believes is right. Fe users(like Iron Man) believe their are absolute morals that everyone has an obligation to surrender to. Much like when Steve says in his letter to Tony he knows Tony is trying to do what is right and reapects that, Fi users believe concepts of right and wrong are personal definitions to be made rather than universal truths to be accepted.